Uddevalla is an ancient city on the western coast of Sweden. This city is known in Europe as a business center in Sweden. 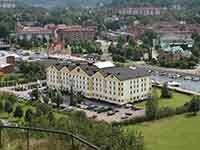 Uddevalla is a city with a rich history and interesting, rich cultural life. In 2013, an IKEA store was opened here.